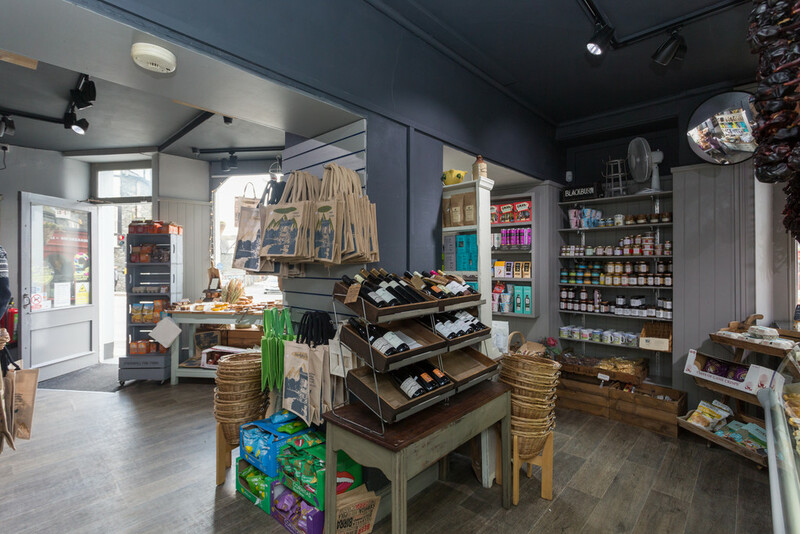 Occupied within Central Buildings amongst the parade of Victorian shops in the heart of picturesque Ambleside opposite the successful market place development of retail units and adjacent to the Tourist Information Centre and Post Office. 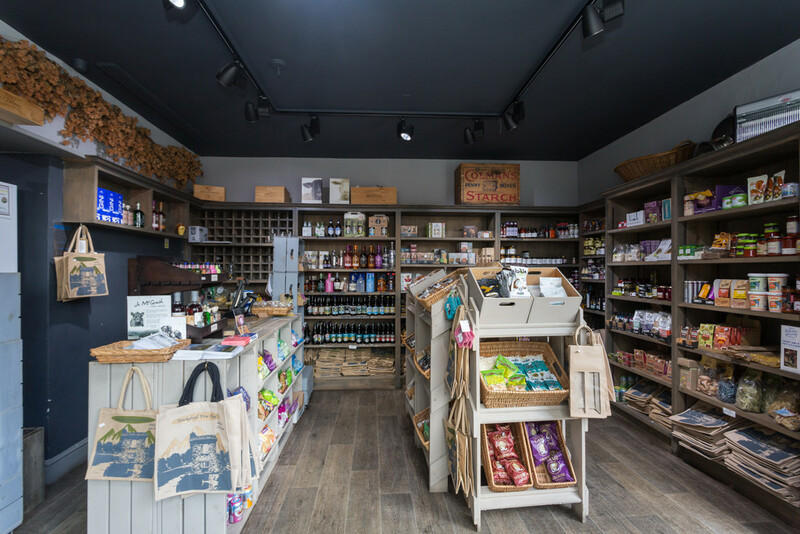 Ambleside is a highly popular, all year round tourist destination in the heart of the Lake District National Park well placed for a variety of retail uses with excellent foot fall in the heart of the town. An excellent business opportunity to acquire a highly prominent and substantial Leasehold property, set in the heart of this highly popular market town. 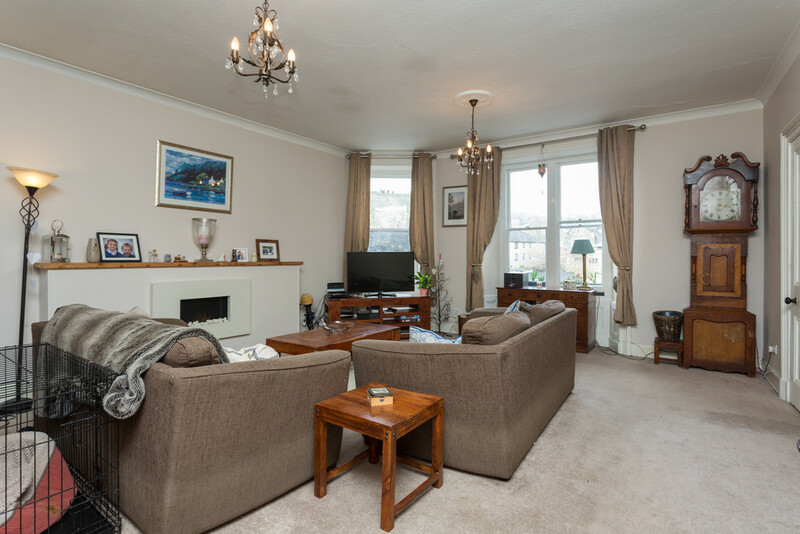 The sale of the leasehold interests is available, however the property can equally be available as a going concern with all relevant fixtures, fittings and stock at valuation, subject to negotiation. 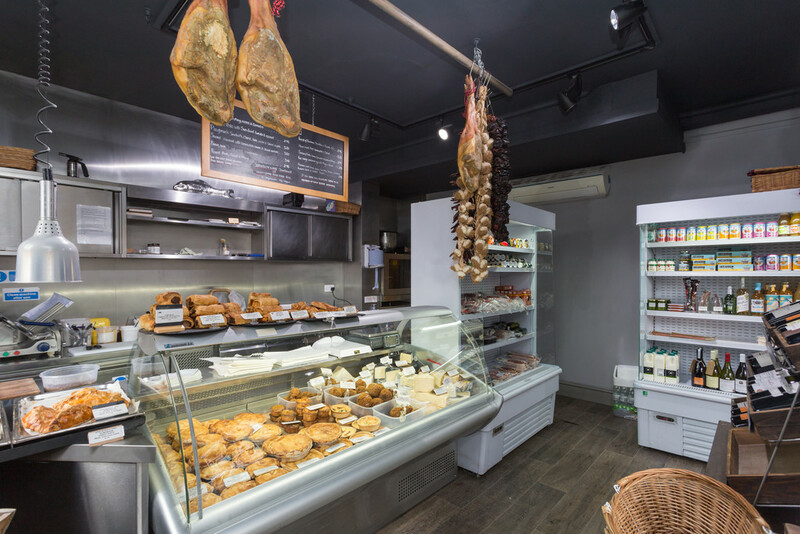 At present the business is operating as a highly profitable Delicatessen selling a wide range of local produce, cheeses, hams etc as well as a selection of home made sandwiches, pies, cakes, and bread amongst other things. Along with a selection of jams, gins, biscuits, wines etc. 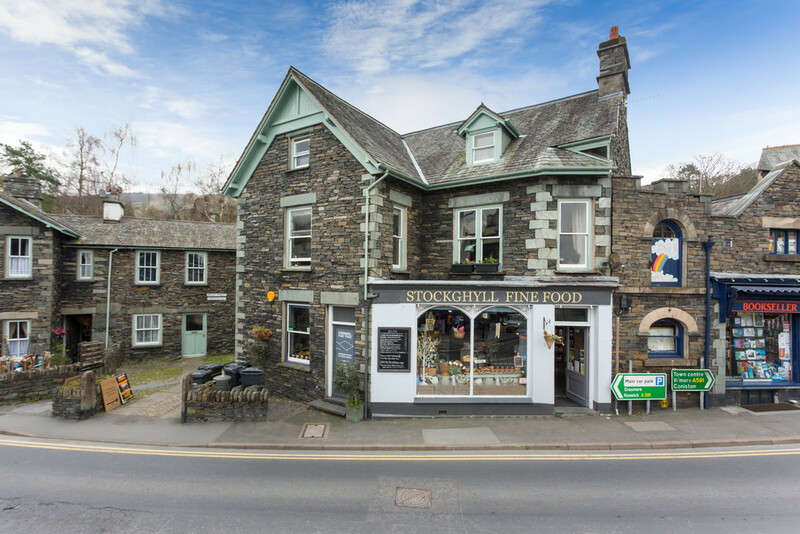 This sale allows a perfect opportunity for a new lifestyle business for someone who wishes to enjoy living in the centre of the Lake District and operate a business that offers a good income and has living accommodation. The accommodation can be sub-let and could generate a rental income of approximately £11,000 p.a. Student letting’s are not permitted. Superb window frontage with two large display windows and superb retail space extending to approximately 550 square feet. 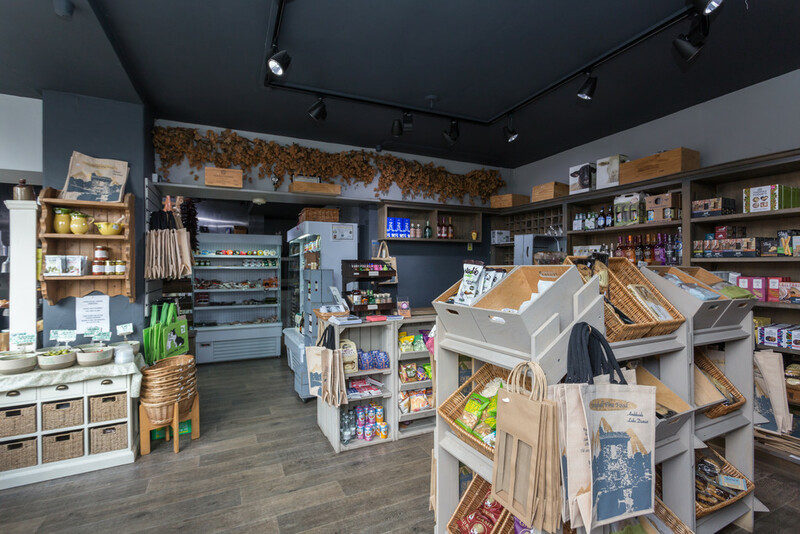 There is substantial shelving display and racks as well as a counter, confectionary display, till and weighing scales. Additionally there are a selection of stainless steel work surfaces, fridges, freezers and oven available by separate negotiation. A rear storage wing with a stone flagged floor and fitted shelving. Storage cupboard and rear access door. Useful storage facility leading to a WC, with wash hand basin and housing Sector water heater. With external rear door giving independent access from separate external steps. 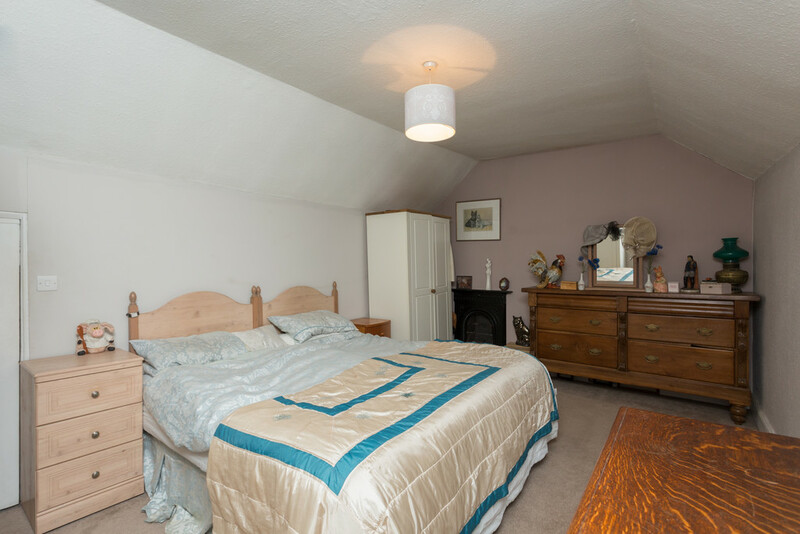 A lovely bright and airy dual aspect room which enjoys fell views. 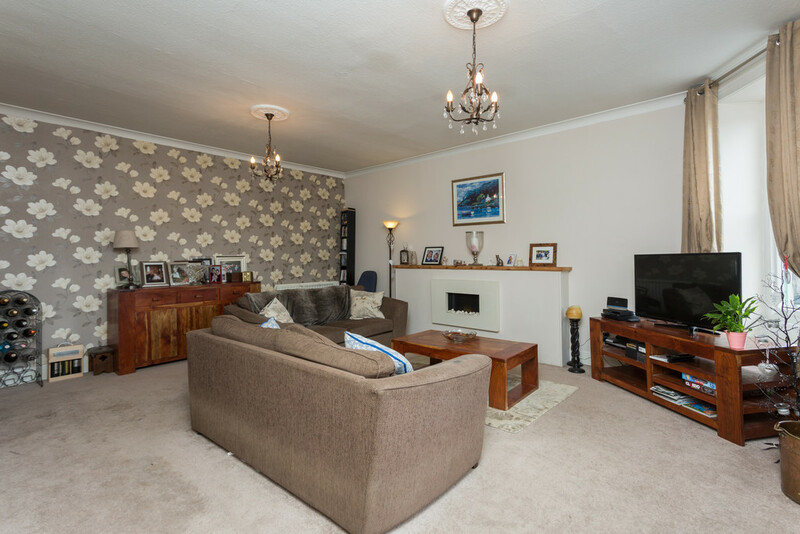 There are two double radiators and an attractive modern feature fireplace. There is coving to the ceiling. 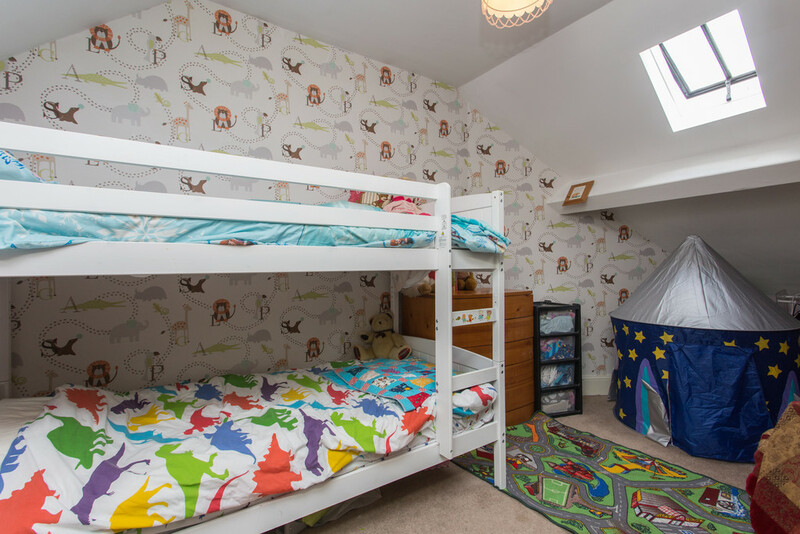 A lovely dual aspect room which is well equipped with an attractive range of wall and base units with complimentary timber working surfaces and 1.5 stainless steel sink unit and mixer tap. 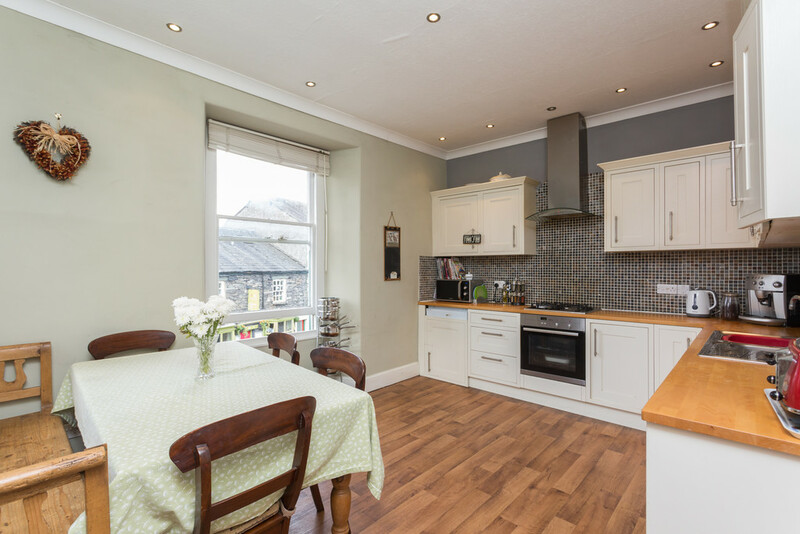 Appliances include Neff oven with four ring gas hob, Integrated dishwasher and fridge. Part wall tiled with downlighters and double radiator. Attractive views towards Loughrigg. A modern three piece white suite comprising of panelled bath with a Mira Excel shower, vanity wash hand basin and WC. Cupbaord housing Valiant boiler. Part wall tiled with extrator. 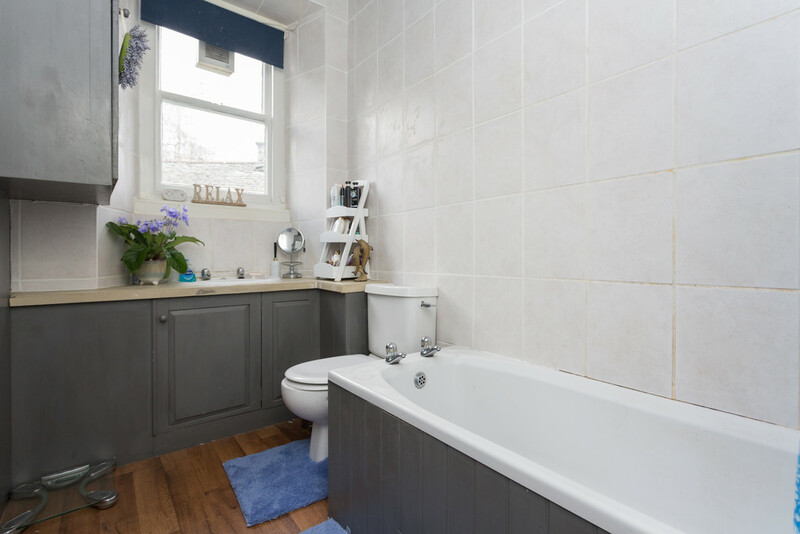 Double radiator and heated towel rail. A selection of fitted wall and base units with complimentary working surfaces incorporating an inset sink unit with a mixer tap. Plumbing for washing machine. Part wall tiled with extractor and double radiator. Stair case from the Landing leads to the Second Floor. With skylight and useful eaves cupboard. 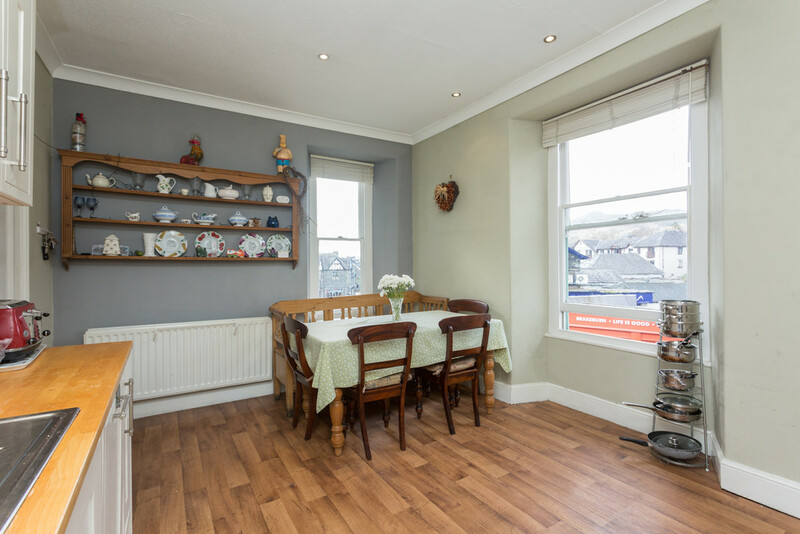 An attractive and spacious double room with single dormer window, original cast iron fireplace and views towards the village and surrounding fells. Eaves storage/walk in wardrobe. Double room with excellent views towards Loughrigg Fell. Useful eaves storage cupboard. Small double presently with bunk beds with a sky light. There is a yard to the rear of the property with two useful stores and WC. All mains services connected. Gas central heating. The property is held on a twelve year internal repair and insuring lease from 2015 with rent at £17,680 per annum. 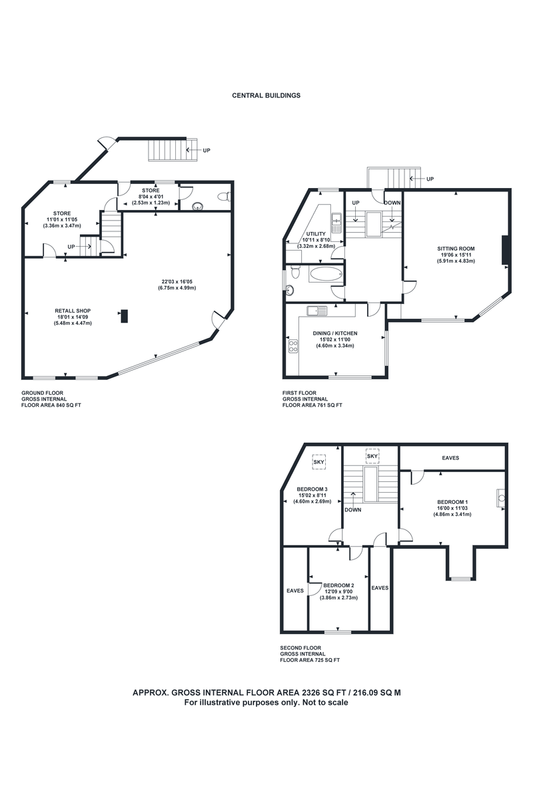 Trust and a copy of the lease will be made available to the Ambleside office. Currently open 5 days per week closed Mondays and Tuesdays. Operating over an 11 month period with 1 x part time staff member and 2 x owner operated. Trading accounts will be made available to genuine interested parties once viewed. £19,750. Actual amount payable £6,351.11. This could be reduced to ZERO if the purchaser is entitled to Small Business Rates Relief. More details can be obtained from the Local Authority South Lakeland District Council 01539 733333.